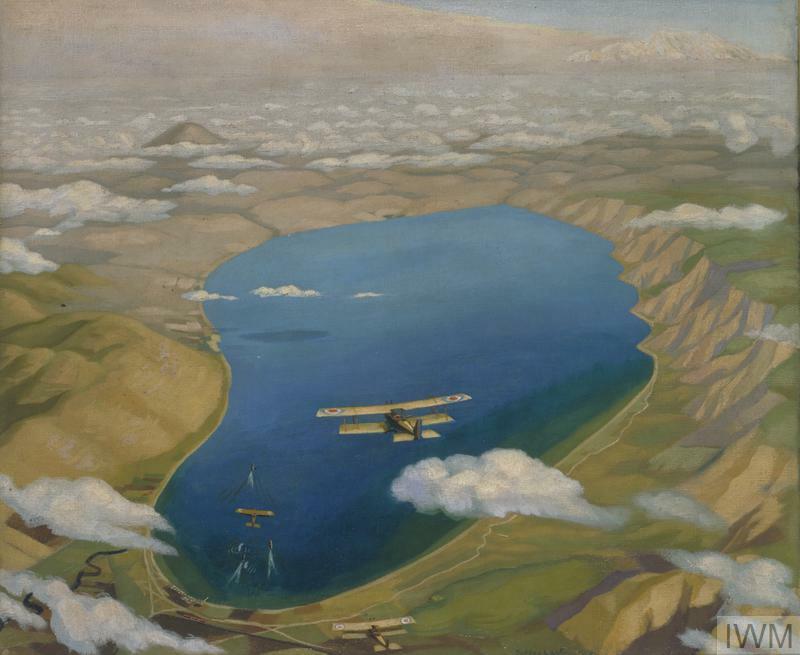 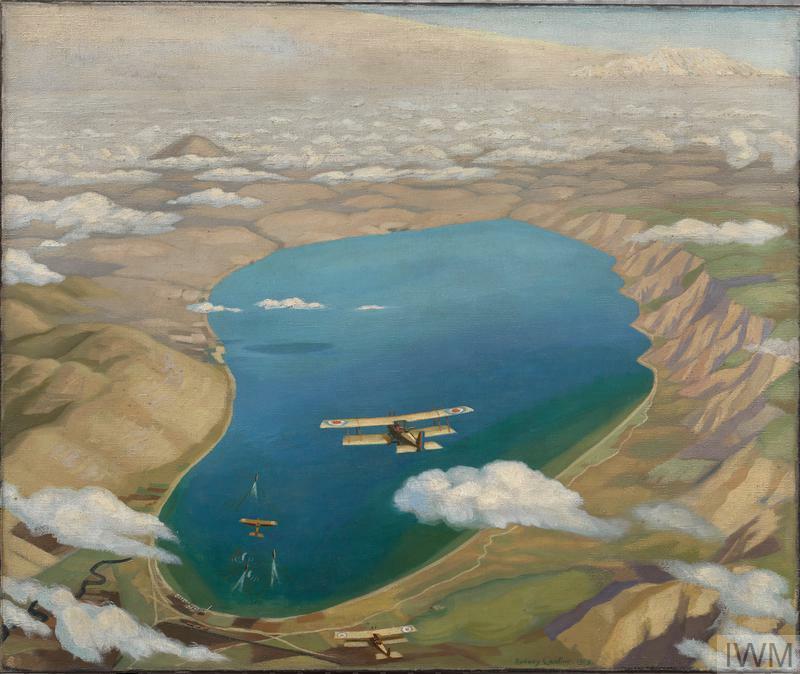 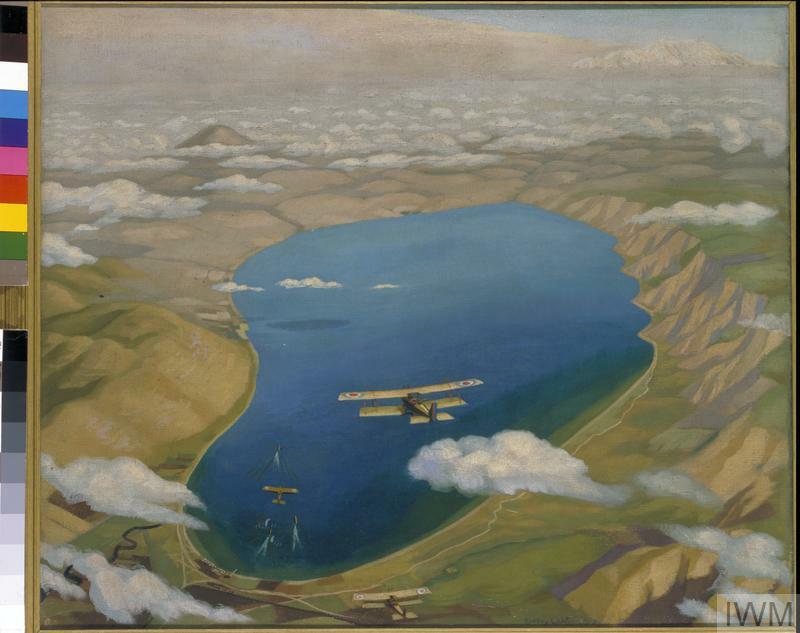 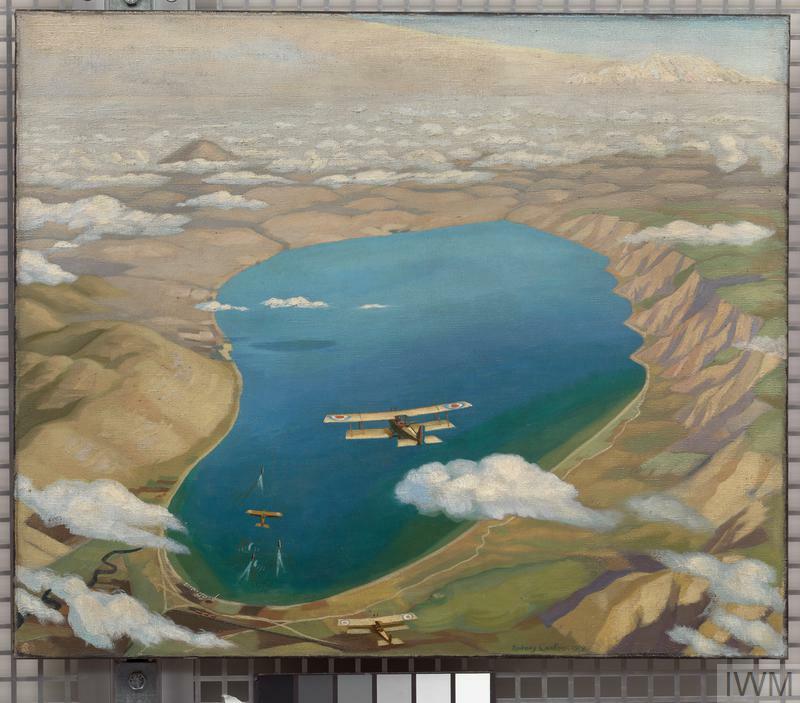 image: A high altitude aerial view of the Sea of Galilee. It is flanked by hills on the right-hand shore, the Jordan river lower left and a snow-capped Mount Hermon rising above the clouds in the upper right of the composition. 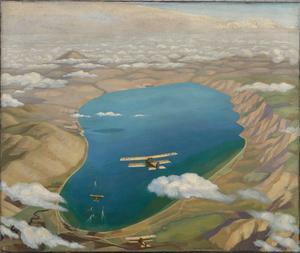 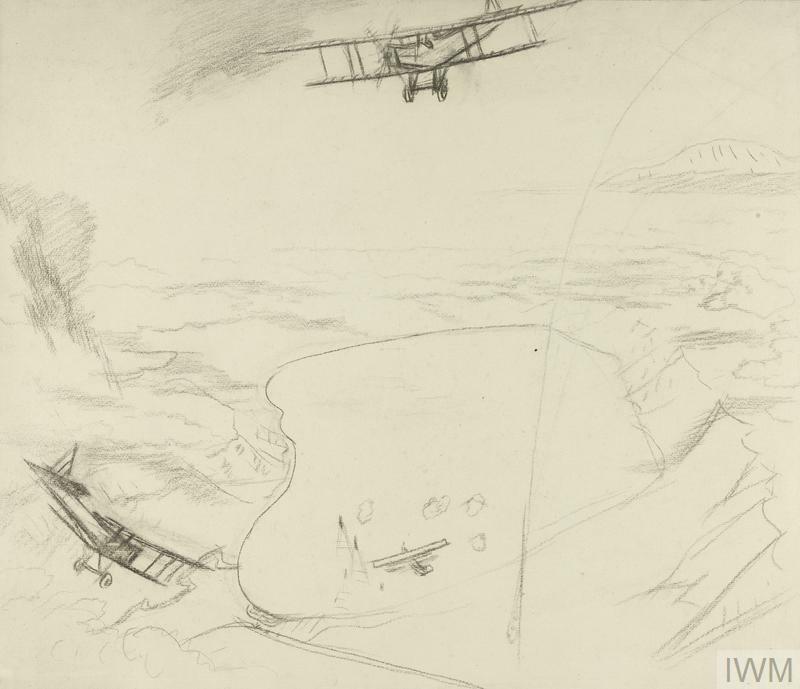 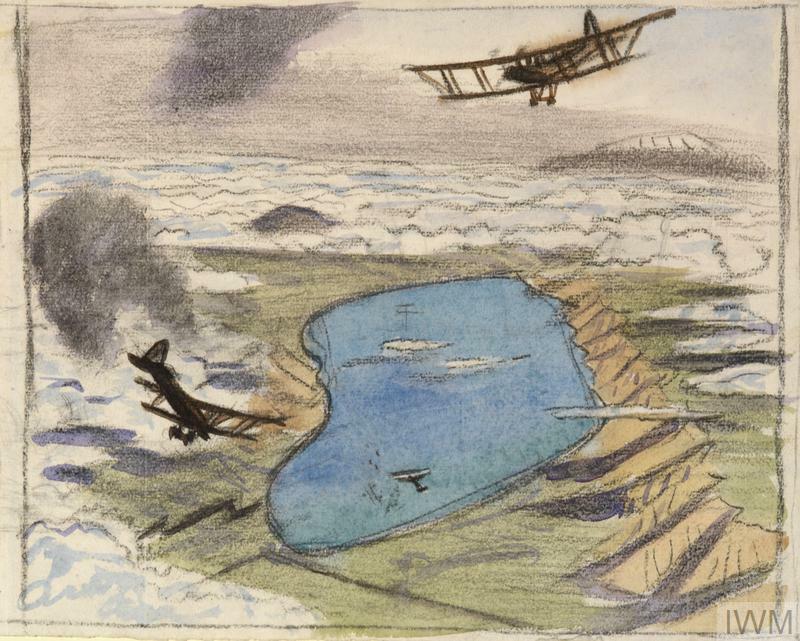 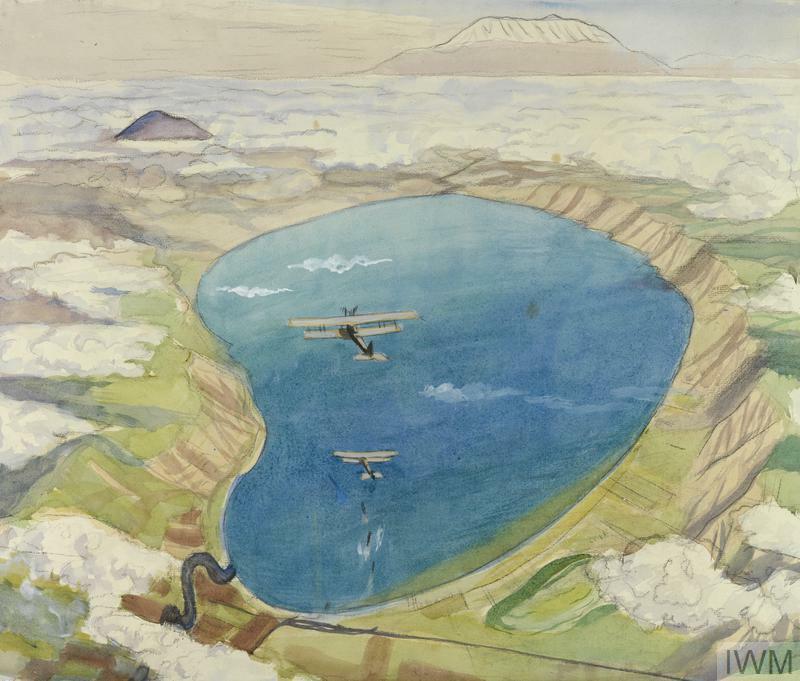 Three aircraft fly towards the lake, where several dark shapes of Turkish motorboats setting off from the shore are visible.